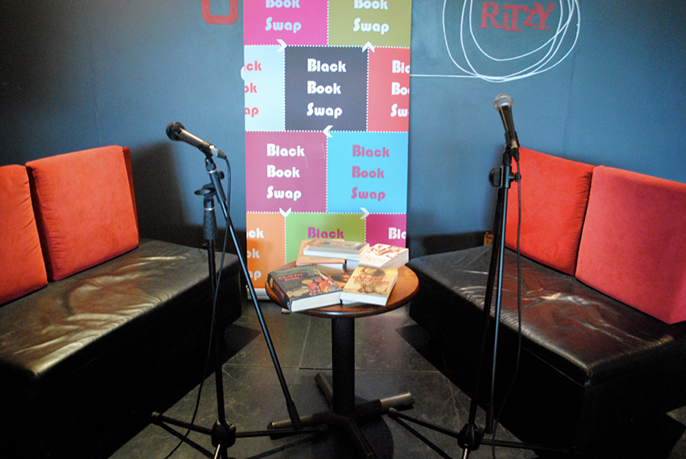 The wait is nearly over Black Book Swap is back! As usual we have a strong line up of guests. Expect opportunity to network, purchase books for sale and opportunity to swap books. We'll also be supporting black businesses with a range of exciting stall holders. Lloyd Bradley the UK’s foremost writer on black music. He will talk about his book Sounds Like London: 100 Years of Black Music in the Capital. Bradley's Bass Culture (2001) is considered as one of the most important books on reggae music, and he was Associate Producer of the BBC2 series Reggae: The Story of Jamaican Music. He is also working on a biography of George Clinton that sets P-Funk in its correct socio-political context. Patricia Cumper an award winning London based playwright, director, arts administrator and cultural leader inspired by Caribbean synergies and modern multicultural Britain. She is a passionate advocate for the arts particularly the work of diverse artists. Her latest book, Inner Yardie is a collection of three classic Caribbean plays that have been performed to great acclaim and are now available to readers. Patricia was awarded an MBE for services to Black British Theatre in the 2012 New Year’s Honours List. Lemn Sissay an author of a series of collections of poetry. His sculpture poem Gilt of Cain was unveiled by Bishop Desmond Tutu. He has written plays for stage and BBC radio. He is the first poet to write for the London olympics and received an MBE from the Queen for Services to Literature. He is associate artist at the Southbank Centre, and an (hon) doctor of letters. Biyi Bandele a Nigerian director, novelist and playwright. Bandele is one of the most versatile and prolific of the U.K.-based Nigerian writers, having turned his hand to theatre, journalism, television, film, and radio, as well as the fiction with which he made his name. His directorial debut film Half of a Yellow Sun based on the novel by Chimamanda Ngozi Adichie received a rapturous international reception.